There is something about a warm breakfast of oats with cold milk that really excites me. As a child, I have fond memories of oatmeal packets on early school mornings. Two minutes and a microwave meant I could enjoy oatmeal, instantly. Hence instant oats. 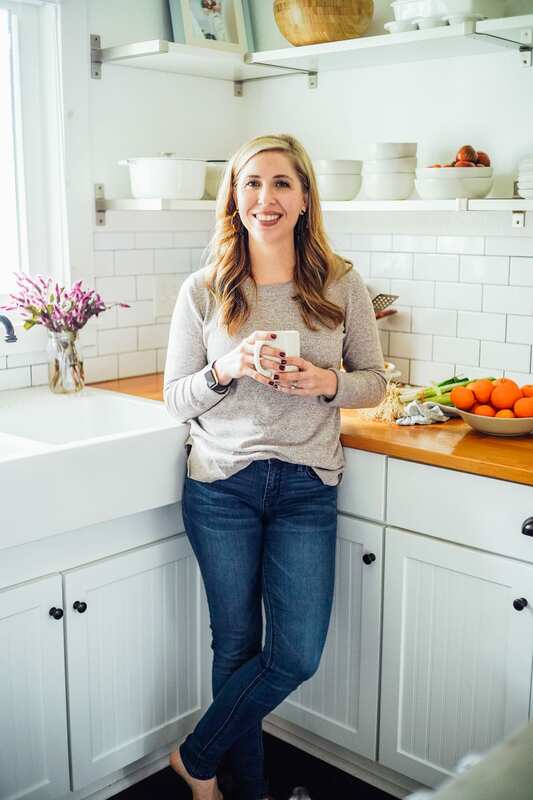 Once our family began our journey of real food and started thinking about food products, I had to face a hard truth. There wasn’t much “real” about my favorite oatmeal. Oatmeal on store shelves contains synthetic vitamins, “natural” and artificial colorings and flavorings, and other “goodies”. I was disappointed that my favorite bowl of morning goodness just didn’t make the real food cut. Of course, I turned to my kitchen. I started making homemade oatmeal with basic rolled oats from the grocery store. Soon, I found a grain co-op and began buying fifty pound bags of organic oats. 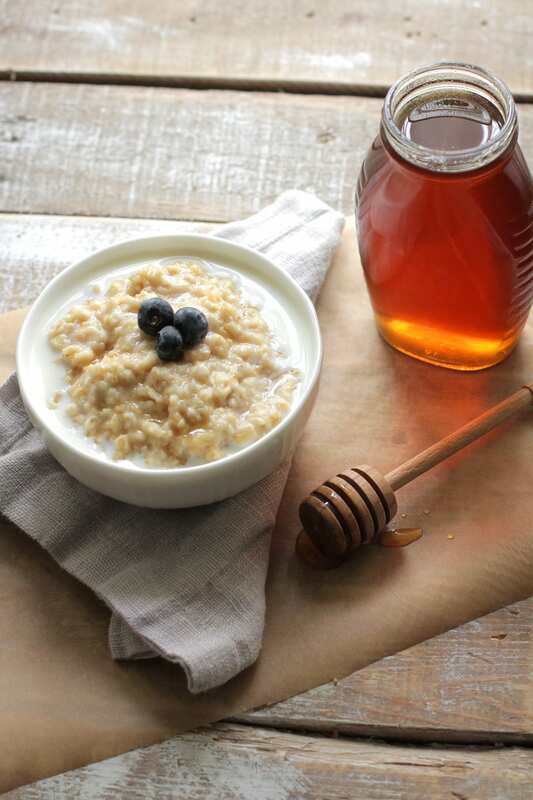 Oatmeal became a frequent morning breakfast sweetened with raw honey or pure maple syrup and fresh fruit. A couple years ago, I picked up a copy of the book “Nourishing Traditions“. It was at this time our family decided to take a step further into real food, turning from vegetarianism toward real, traditional foods. Part of this shift also meant properly preparing grains, nuts, seeds, and beans by soaking. Traditional societies usually soak or ferment their grains before eating them, processes that neutralize phytates and enzyme inhibitors and in effect, predigest grains so that all their nutrients are more available. Sprouting, overnight soaking, and old-fashioned sour leavening can accomplish this important predigestive process in our own kitchens. Many people who are allergic to grains will tolerate them well when they are prepared according to these procedures. Our family soaks many, not all, the grains we consume. 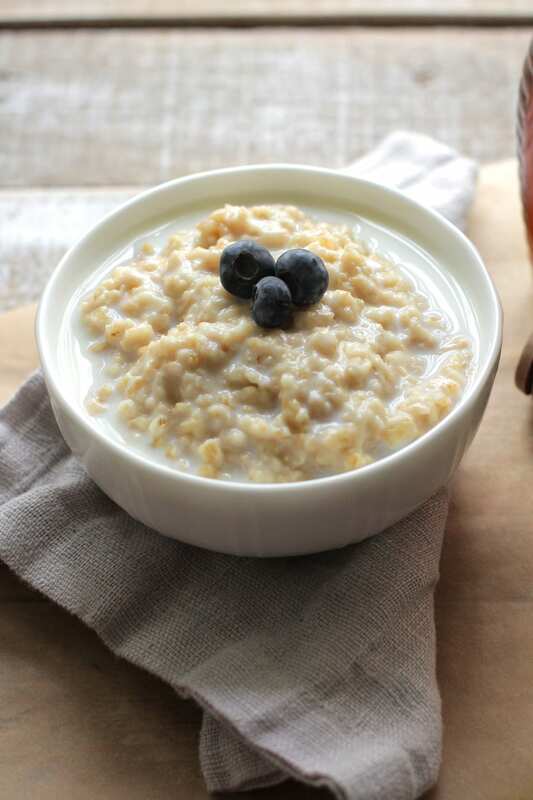 Soaking not only improves digestion and absorption of vitamins and minerals, but also allows for oats to cook quickly. The original instant oatmeal. 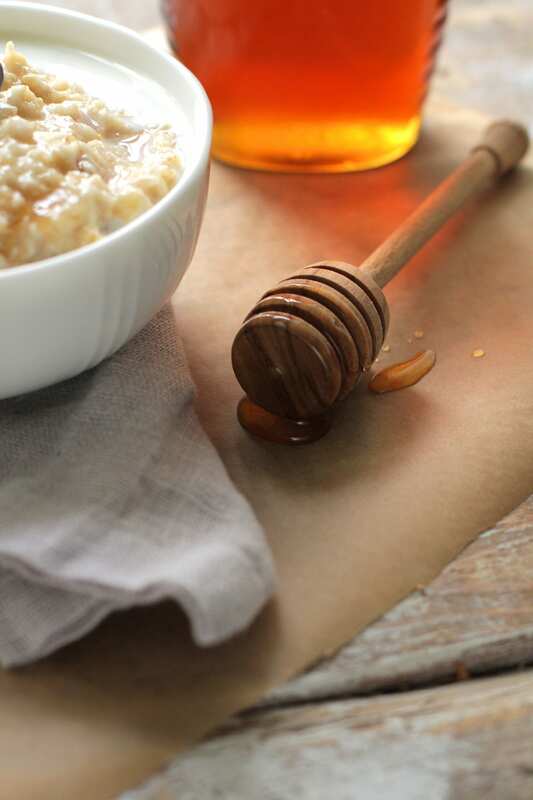 Mix together: oats, 2 cups water, pure maple syrup, and acidic medium in a large bowl. Cover and let sit on the counter overnight. In the morning, bring 1 cup milk, 1 cup water, salt, and oat mixture to a boil. Reduce heat to a simmer. Cover and allow to simmer around 5 minutes. Watch carefully as these oats cook quickly. Spoon into bowls and top with a healthy fat such as grass-fed butter or coconut oil. We also top ours with chopped walnuts, ground cinnamon, berries, raw milk, and raw honey or pure maple syrup. So glad to hear! Thank you for subscribing! Is it possible to do this with steel cut oatmeal? Yes I believe they would work great! So is this not done anymore with store bought foods? Is there a possibility that this process being exuded makes for the gluten issues on the rise being digestive? Mine tasted like vinegar…not sure what I did wrong. Any suggestions? It will have a slight vinegar taste if you use the apple cider. I would suggest using whey, lemon juice, milk kefir, even yogurt as an acidic medium if you would like it to not have a vinegar taste present. I just can’t get over leaving whole milk yogurt on the counter all night. Can you put it in the fridge and it still do the same thing? Yes, it should be just as effective. If you are worried about the yogurt on the counter (although that is how yogurt is made :)) you can also use apple cider vinegar or lemon juice as the acidic medium. Do you soak your beans in an acidic medium or just water overnight? Yes, I do soak them in an acidic medium. Do you drain and rinse the oats in the morning (after they have soaked) before cooking? I do not. By morning, most of the liquid has been absorbed by the oats. I LOVE this recipe!! I soaked it with the whole milk yogurt and as it was cooking I added a sprinkle of cinnamon and tsp. of madagascar bourbon pure vanilla bean paste. It was amazing!! Topped it with some fresh blueberries, and a drizzle of milk and pure maple syrup. I used the apple cidar vinegar and the oatmeal tasted like the vinegar. Recommend using other acidic ingredients that may not affect the taste. Liked the texture of the finished product and the hint of sweetness from the maple syrup. Have some oats soaking with buttermilk now. Hi Martha, Brown sugar would be delicious in place of maple syrup. Hi Martha, Brown sugar would be great in this recipe. Hey Sheri, The acidic medium used when soaking helps the milk to sour. Modern day pasteurization essentially produces a dead milk, so most the organic milk produced via this method doesn’t even need refrigeration, but the general public was too skeptical when producers introduced it on store shelves. You can still find these small milk cartons via Organic Valley and Horizon in the non-refrigerated section. I don’t recommend using ultra-pasteurized milk at all, rather a low-temp pasteurized or raw milk (if possible). The acidic medium (lemon, vinegar, whey) sours the milk, essentially how ricotta cheese is made. Many people with reservations choose to use water in place of the milk with an acidic medium (the key to breaking down phtyic acid in the grains too). Using water is perfectly fine. I’m sorry I misunderstood, I though I read to soak it in all milk. But now I’m confused again :/ if I use milk do I use an additional acidic medium? I’ve just learned about milk! I was so shocked to learn I hadn’t been doing much except wasting money buying organic milk.. We just found a local farm to buy raw milk from, I was ecstatic because we have very few real food options where I live! I’m so happy you found a raw milk farm! Very cool. Yep, no matter if the liquid is milk or water, the soaking process still needs an acidic medium. That medium is what breaks down the phytic acid (the harder to digest stuff) in the grains. 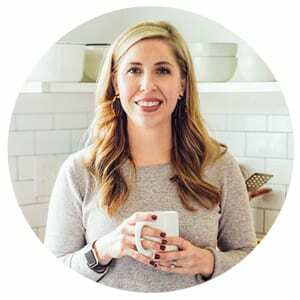 You’ll notice here at Live Simply, my recipes go back and forth. Some are soaked and some are not. I try to soak many of our grains, but sometimes (due to time and texture) it’s not possible. I tried this using my homemade Kefir and it was wonderful. I will be soaking my oatmeal all the time from now on. Thank you. Wonderful, Donna! I’m so glad you like it. Enjoy!! My family loves baked oatmeal. I was thinking that it would work the same for me to soak the oats overnight and then add the same things to the recipe that I normally add and bake them in the morning. Have you ever tried baked oatmeal this way? Hey Amanda, I have tried using this method for baked oatmeal with good success. The soaked baked oats have a bit different of a consistency (moist vs. dry) than the non-soaked version. Let me know how it goes with your recipe! Awesome, Amanda! Thank you so much for sharing. I’m going to try your recipe tomorrow morning…sounds delicious!! i never comment on blog posts, but I had to on this one. This oatmeal is out of this world! So much better than my usual oatmeal. I may have soaked some additional oats so I can have it for breakfast and lunch tomorrow 🙂 Thanks for the recipe! I’m honored, Bob! Thank you so much for sharing. Enjoying the extra oats ;)! Sadly, I’m lactose intolerant. I would love to try this with the lemon juice! What do you suggest I use instead of whole milk? Many thanks!!! Hey Fatima, You could use almond or coconut milk :). I came to this post from the granola post that mentioned soaking the oats. I LOVE granola but find it sometimes doesn’t love me. Do you recommend soaking in the same way as listed above when making granola? Hey Lela, I don’t soak the oats for my granola, because the consistency isn’t very desirable unless you spend hours dehydrating the granola. This post contains many (good) soaked granola recipes: https://livesimply.me/2015/11/21/homemade-granola-gift-ideas/. Can you soak a large batch of oats to be cooked in smaller servings over time? I’m trying to find ways to save time with cooking as I work long retail hours. Hey Rachel, Unfortunately, the oats need to be used within 24 hours of soaking at room temp. If you refrigerate the oats, they may last a few more days. 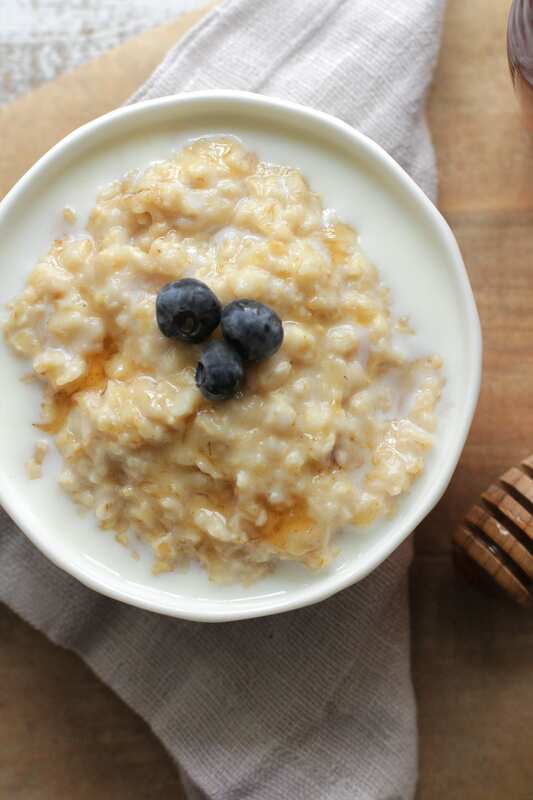 This version is for cold oats, but it may help, too: http://thechicsite.com/2014/01/03/no-cook-overnight-oatmeal/. Can I soak the oats in 2 T of almond or coconut yogurt or would these not be considered an acidic medium? I’m worried about a vinegar taste as some previously commented. Thanks! Hey Stephanie, You can! The yogurt is cultured, so it should work! I’ve read a couple recipes that say it’s OK to just soak oats in water. My family just did not like the sour taste with the acidic medium. I tried yogurt and some of the other options. Have you ever used just filtered water? Hey Tami, I haven’t tried just filtered water, but I think it should be just fine! Let me know how it goes! How much vinegar or lemon juice should I use if I go that route? Is it ok to use both milk and yogurt to soak oats? Hey Pragya, I would just use an acidic medium (a bit of yogurt and whey) and water :). Do you need to use filtered water in the oats? I’ve read somewhere that the chlorine in tap water can kill the good bacteria from the yogurt. Hey Christina, I do, since that’s what comes from our tap/fridge (we have a filtering system). Yay, Belinda! I’m so glad you’re enjoying the oatmeal. Yummy! Best way to eat oatmeal. Soaked last night using Stonyfield plain whole milk yogurt. Cooked this morning while packing lunches. SO simple and delicious!!! !